Last night I had a great run that included 60 second pickups every three minutes. I finished each mile about 10-12 seconds faster than I did when I did pickups two weeks ago, so I’m pretty happy with that. I’m not feeling very tired after each mile though, so I should probably increase my pace a bit more. I think I’ll do that next week and see how it goes. It feels good to be increasing my pace after spending so long just maintaining. 1. 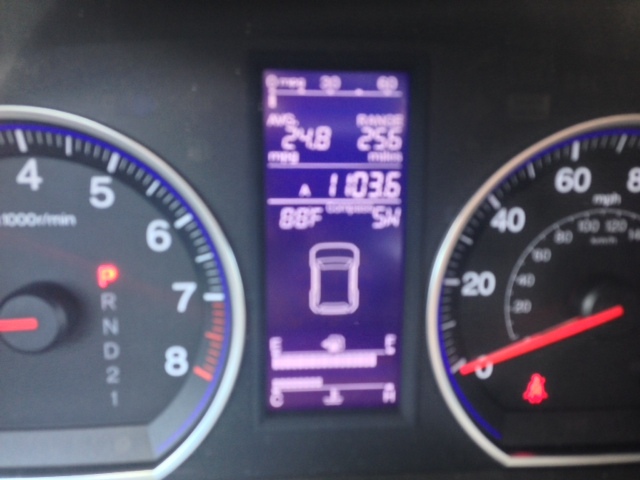 The picture is blurry, but yes that does read 88 degrees. It’s already SO HOTTTTT! I like the warmth but seeing that number reminded me that after May there are literally no races here in south Florida because of the weather. I need to sign up for some 5Ks asap so I can try to meet my time goal! 2. Cats don’t like to take selfies, it’s risky business asking your cat to take one. Cecil demanded several treats after being subjected to this torture. So great to hear that you are increasing your pace. I always do a small cheer when I have accomplishments like that. As far as the weather goes, we are in the same boat there. We are approaching the 90’s as well here in AZ and I’m already looking for alternatives for running. Races during the summer are non existant here but I have found some night trail runs over the summer that may be pretty cool. May need to shoot up north for some races to get out of the heat. Same here, I’m thinking about heading north to do a half marathon. The only problem is I already have all of my vacation days planned out, hah. Not sure when I’ll be able to squeeze a racecation in! I truly think you are going to surprise yourself in the next few months with your mile speed!!! And, I would take that 88 right now – I love hot weather. I spend most of the winter complaining or hibernating but in the summer I’m outside all day no matter how hot it is! I hope so! I’ve never really focused on trying to get faster before. I’m hoping with new focus/dedication I can really meet some pace goals! 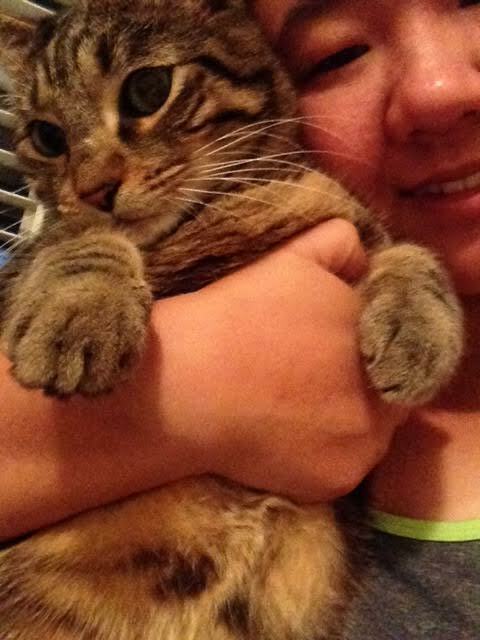 My cats hate selfies! I get scratched. Cecil is looking gorgeous, as always. Ugh it was like 88 on Sunday at the baseball game, and now it’s 50 today. WTF Florida?! I was reflecting on how “easy” runs make me feel awed, too. Like, wow, I can run 4 miles at a fair pace and feel good…that used to literally be impossible for me! Exactly! I remember the first time I “ran” 4 miles and it took me over 70 minutes (omg)! Oh no, Cecil. He looks so forlorn, planning an escape route! Yay for seeing progress and getting faster in your runs!